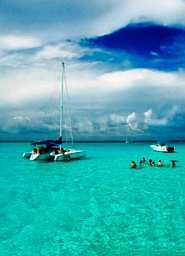 Nestling in the turquoise waters of the Western Caribbean is the British Overseas Territory called the Cayman Islands. 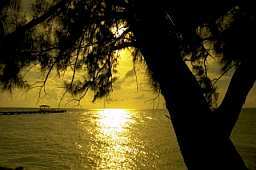 They consist of three Caribbean islands; Grand Cayman, Cayman Brac and Little Cayman. The largest and most developed is Grand Cayman, about 90 miles from Cayman Brac, which is separated from Little Cayman by only about 5 miles. The sun-kissed beaches and azure waters of the Cayman Islands offer some of the best diving and snorkeling locations anywhere. Surprisingly, it is also the fifth largest financial center in the world. 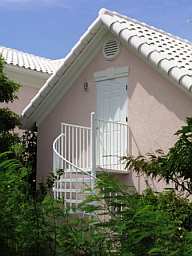 Cayman real estate is a very good investment. Investing in the Caymans can be an expensive proposition, but you can find decent prices if you look hard enough and in the right places. The Cayman real estate market has avoided the ups and downs of typical Caribbean real estate markets, and is growing at a steady, healthy pace. 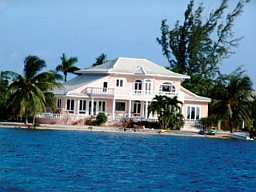 There are many types of Cayman real estate available for the Caribbean real estate investor – beachfront properties, inland properties and rentals are available and abundant. Prices range anywhere from $200,000 to over $4 million. The economy was once centered on the turtle trade. In the 20th century, tourism and financial services grew to become the mainstays. The United States is currently the largest trading partner of the Caymans. The average income is around $42,000 and Caymanians have the highest standard of living in the Caribbean and the C.I. Dollar is fixed at 1.227 USD. The primary source of revenue is indirect taxation. Import duty is 20% and a few goods like books, cameras & baby formula are exempt. There is a flat licensing fee applicable to financial institutions operating on the islands and a small fee is charged to each tourist. The financial services industry here includes banking, mutual funds, captive insurance, vessel registration, companies and partnerships, trusts, structured finance and the stock exchange. With its wonderful climate, strong economy and abundant Caribbean real estate investment opportunities, it just doesn’t get any better than the Cayman Islands! Island life on the Caymans focuses on the sea. Downtown shopping areas can become hot at midday, but air-conditioning provides relief. 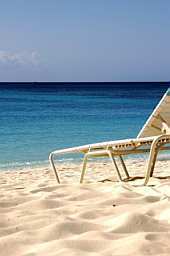 Since the purpose of a vacation to the Caymans is to slow down and relax, it is advisable to stay on the beaches during the hottest part of the day, so that the water and cool trade winds can help rejuvenate. Shopping is best done either early or late in the day. In Grand Cayman, the shops are never far away. Aside from the shops in town, there are a number of small malls with restaurants, liquor and gift shops. Cayman is a duty-free destination and offers watches, china and crystal, perfumes and jewelry along with beautiful local art and craft and designer clothes. Local art and craft galleries feature Caymanian and Caribbean Island art. 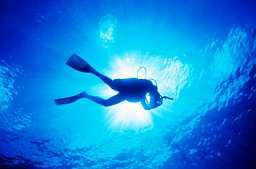 You can also have custom underwater videos and photographs taken while diving and snorkeling. Grand Cayman’s major attraction is the famous Seven Mile Beach, which is home to most of the hotels and resorts of the island. There are also historical sites that attract visitors and world famous scuba diving destinations. There are many snorkeling locations off the islands where visitors can enjoy swimming with stingrays or shipwreck diving. There is hiking, wildlife and bird watching as well as a number of museums to explore. Traditional Caymanian cuisine features conch, lobster and local seafood cooked in various ways with plantain, coconut, breadfruit, cassava, yam, rice and beans and other similar West Indian dishes. In addition to Caribbean cuisine, the islands also offer a range of European, Mexican, Italian, German, Chinese, Thai, Indian, Japanese cuisine, as well as fast food like hamburgers, fried chicken, pizza, subs and salads. 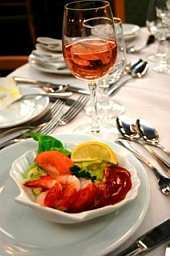 Dinner cruises aboard replica pirate ships or 19th-century ships are an added attraction. Cayman Brac has weekend dances and the local bands and community events at the Aston Rutty Center are an instant hit with tourists. The climate of the Caymans is pleasant and consistent year round, making it an ideal location if you’re contemplating investing in Caribbean real estate. The average temperature around the year is within the range of 78°F and 88°F. The rainy season, between May and October, brings brief showers, separated by periods of sunshine and produces an average rainfall of only about 60 inches. The cool trade winds keep the climate and temperate pleasant throughout the year. The highest temperatures are witnessed in July and August, with the mercury hitting 85 to 90°F. February is the coolest, with night temperatures dipping to mid-60 or lower. Summer provides the best diving conditions, with warm waters, good visibility and calm seas. Hurricanes and storms are a threat from June to November, but the danger is greater from August to October, with September being the worst. Mid-December to mid-April is the peak tourist season, when rates are substantially higher and beaches more crowded. There is more rain in summer, but it tends to come in downpours that clear as quickly as they arrive. The Cayman Islands lie in the western Caribbean Sea. A nation of three islands, they are about 480 miles south of Miami and about 150 miles south of Cuba. 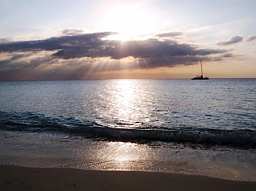 They are located 180 miles northwest of Jamaica. The Caribbean island of Grand Cayman is the biggest at 76 square miles. The two smaller sister islands, Cayman Brac and Little Cayman, are about 90 miles east of Grand Cayman, with areas of 14 square miles and 10 square miles, respectively. All the islands are large coral coverings of submerged peaks of the western extensions of the Sierra Maestra range. The three islands are limestone outcroppings and the submarine mountain range is called the Cayman Ridge, extending west to southwest, becoming the Sierra Maestra and then the Misteriosa Bank, near the Caribbean island of Belize. These Caribbean islands have no rivers or streams due to the porous nature of the limestone rock. This lack of any sort of runoff causes the surrounding seas to have exceptional visibility, sometimes over 120 ft. Between the Cayman Islands and Jamaica is the deepest part of the Caribbean sea called Cayman Trough. It is over four miles deep and to the south of the Caymans is the Bartlett Deep, which has a recorded depth of over 18,000 feet. 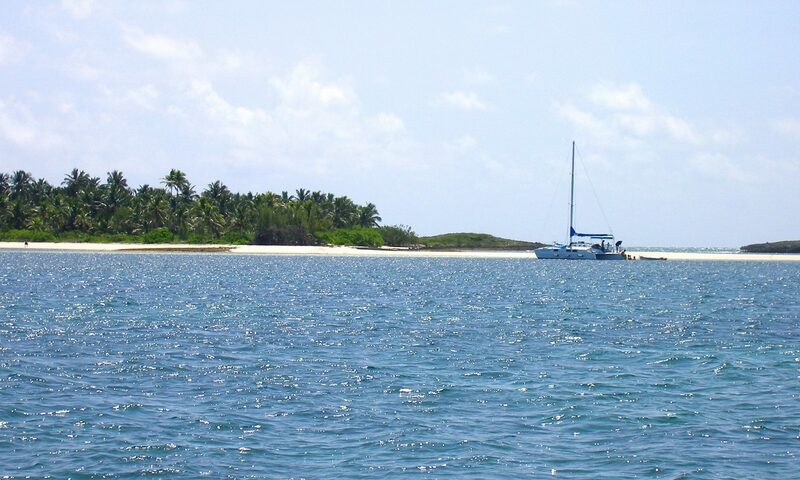 All the islands are surrounded by thriving coral reefs at the top of the cliff like walls and dramatic drop-offs quite close to the shore, providing ideal locations for both diving and sport fishing. All direct air service to the Caymans is to Grand Cayman and Cayman Brac. There are connecting flights to Little Cayman on smaller planes. The Caymans have connections from various cities including Boston, Miami, Chicago, Houston and Tampa. There are flights from London via the Caribbean Island of Nassau as well. Most international flights are to the Owen Roberts International Airport, which is a couple of miles from George Town on Grand Cayman. Some flights also serve Cayman Brac’s Gerrard Smith International Airport. The best access is from the United States, with many carriers providing regular flights. Cruise ships also dock regularly at George Town and at Creek on Cayman Brac. Taxis are easily available and pick up passengers arriving by every flight. Their rates are fixed. The islands are fairly small and relatively flat, making renting a car a good option. Remember that driving is on the left. There are also motorcycles and scooters available for hire. Seatbelts are mandatory by law. Visitors can buy a temporary driving license from a police station or the car rental agency. This can be obtained after presenting a valid drivers license and a fee of US$7.50. You must be 21 years of age and above to rent a car and some rental agencies do not provide insurance coverage to renters under the age of 25. Mopeds and scooters are also available for the average daily rate of US$25, including a helmet and a permit. A helmet is to be worn at all times and riding is to the left. The local currency is the Cayman Island Dollar. Canadian, U.S. and British currencies are also widely accepted. It is advisable to exchange U.S. dollars for Cayman Islands dollars, as you will probably save money that way. There is a 10% hotel tax and a small tax for changing traveler’s checks. Don’t buy black coral. It is an endangered species on this Caribbean Island, and even aside from ethical considerations, customs officials may confiscate the items unless you have the proper permit. Also avoid products made from sea turtles for the same reason. Christopher Columbus first sighted The Cayman Islands on his fourth and final voyage to the New World. The first recorded English visitor was Sir Francis Drake, who landed in 1586 and gave these Caribbean islands the current name of Cayman Islands. The islands, along with Jamaica, were ceded to England in 1670 through the Treaty of Madrid and were administered as a colony together with Jamaica until 1962. They became a British overseas territory when Jamaica became independent. The Caymans has an arts development organization called The Cultural Foundation that stimulates, facilitates and tries to preserve cultural and artistic expression, with particular regard to preservation and exploration of original Caymanian performing, visual as well as literary art. The Foundation runs programs to encourage and promote the artistic talents of Cayman’s people. There are also a number of quality theatrical events produced by The Foundation. There are festivals like Cayfest, the Cayman Islands Arts Festival that takes place every April and showcases local talent.